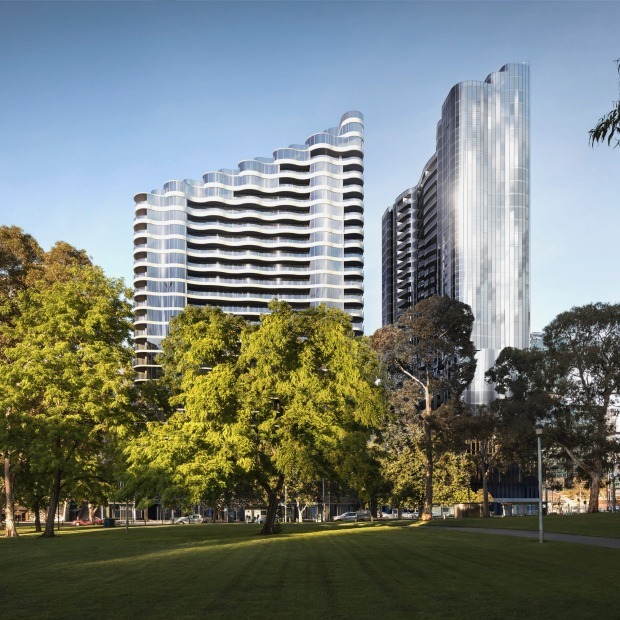 Two major Chinese developers, China Century Group and Exhibition and Travel Group, have joined forces to develop an $800 million apartment and hotel complex on the banks of the Yarra in Melbourne. It is the first project for the partners’ Australian platform, Century Group Aus. Two years ago, the platform landed on one of the largest development opportunities in the city market, the vast former Melbourne convention centre on the corner of Spencer and Flinders streets. The site, which overlooks Crown Casino on the opposite bank of the Yarra, was acquired for $97 million. It came with approval for 1100 apartments in a three-tower project. Now led by Connie Wu, who has lived in Melbourne since her early teens, Century Group Aus has junked the old plans, starting from scratch with new architects Fender Katsalidis and submitting an amended proposal last year.The fresh design for the project, dubbed Flinders Bank, comprises three terraced towers of up to 33 levels along with a 21,000 square metre retail and public plaza to revitalise the ground area near the river. In a bold move for a developer, Century Group Aus has deliberately sacrificed product yield and gone upmarket, cutting the number of apartments to 500 and including a 167-room five-star hotel. Around 60 per cent of the tower will comprise two-bedroom, two-bathroom apartments with an average size of 80 square metres. It’s a move that makes sense to Ms Wu, as the market itself shifts toward larger, better quality apartments. Ms Wu acknowledges that many developers view recent tax changes and credit restrictions as killing off the market. “I don’t see it that way. It’s a trimming of the market to make it more sustainable in the long term,” she told The Australian Financial Review. “It’s pushed the sophisticated investors and the owner occupiers to be the ones that stay.”As Century Group Aus and Fender Katsalidis went back to the drawing board, Ms Wu brought to bear her own experience as an apartment dweller for the past 15 years. “I know the challenges of apartment living,” she said. Century Group Aus is now in the final stages of negotiation with a shortlist of hotel operators for the rights to the Flinders Bank hotel component.